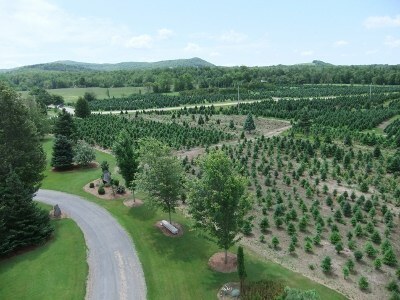 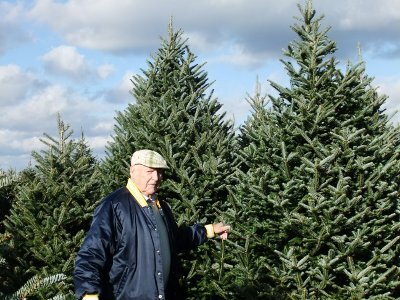 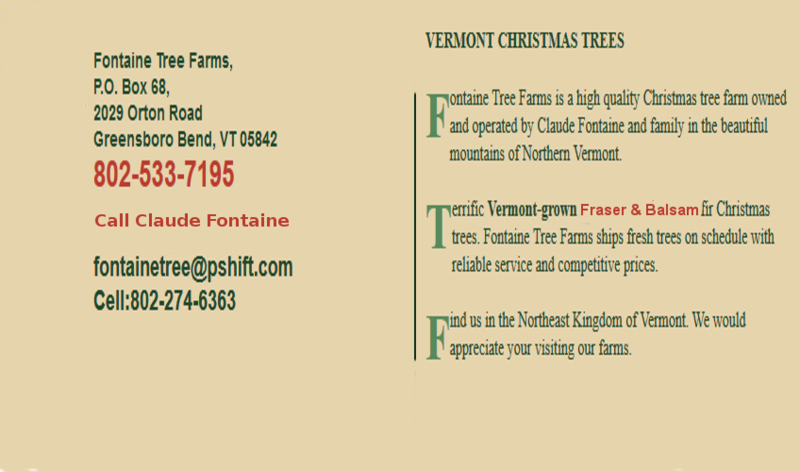 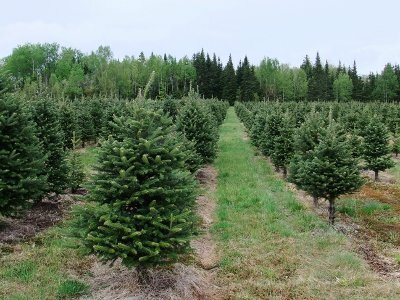 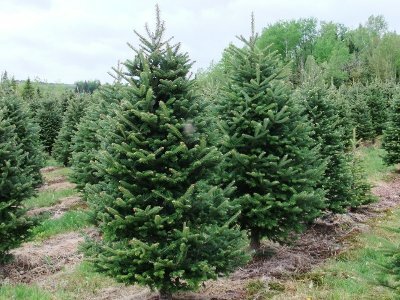 Visit our beautiful site in the Northeast Kingdom of Vermont to select a quality balsam or fraser fir Christmas Tree. 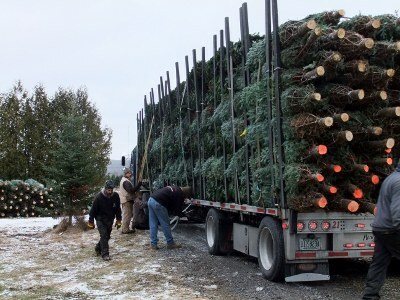 Delivered with care from our farms to your retail lots. 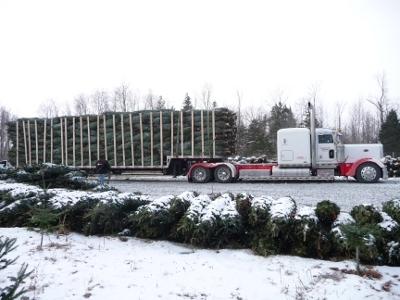 Delivery scheduling is on a first-come first-served basis. 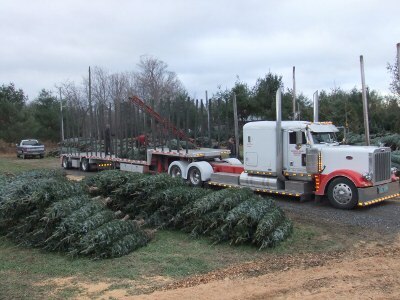 We try to accomodate our customers but if we can't deliver on a date you require, you can always supply your own truck. 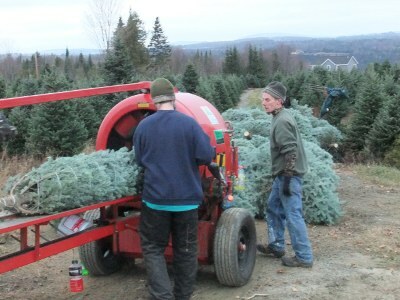 At no extra charge, our crew will take care of everything while you wait. 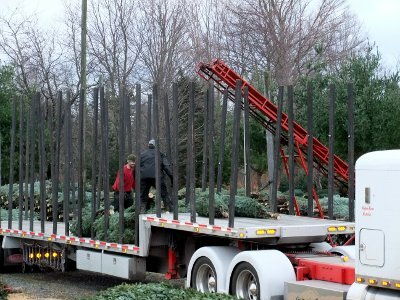 We will load it for you, and strap the load down for your safe ride back to your lot. 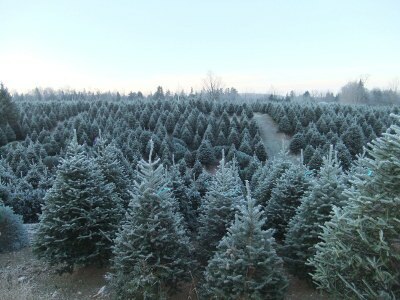 Open 7 days 9am until 10pm from Saturday after Thanksgiving. 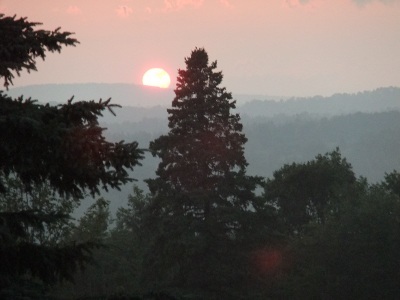 to the right of the marker.